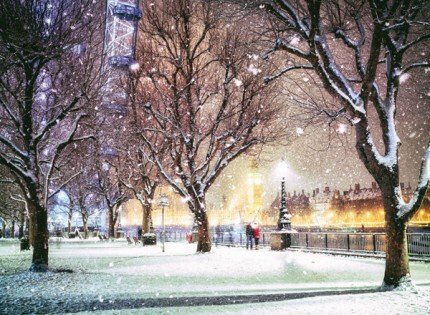 A stunning image showing a wintery Jubilee Gardens with the London Eye, Big Ben and the River Thames in the background. This personalised London themed Corporate Christmas card is suitable for all types of business. Snow Covered Jubilee Gardens Christmas cards are finished with gloss and are manufactured in the UK by Christmas Connections.